The importance of regular exercise and a good diet are both well-known and documented as aids to a long and healthy life. While most of us can manage the diet side of things perfectly well and fit our dietary needs around our lifestyle when it comes to exercise many of us are poorly lacking. When you want to improve your health and fitness exercise does not have to be regimented, requiring hours at the gym or signing up for numerous classes; it can be fun and tailored to your individual requirements. One of the simplest and best forms of regular exercise is walking which can be done with others, alone or with your dog. It doesn’t require expensive kit and you don’t need a personal trainer. Walking can easily be fitted into your holiday schedule and in North Wales, it really can be a joy with so much of the countryside and beaches to explore. Most of us walk every day without even thinking about it, although not as much as we should. Focusing on the quality and distance of our walking can dramatically benefit our wellbeing and increase fitness. It improves lung and heart function and strengthens the muscles in the lower body. 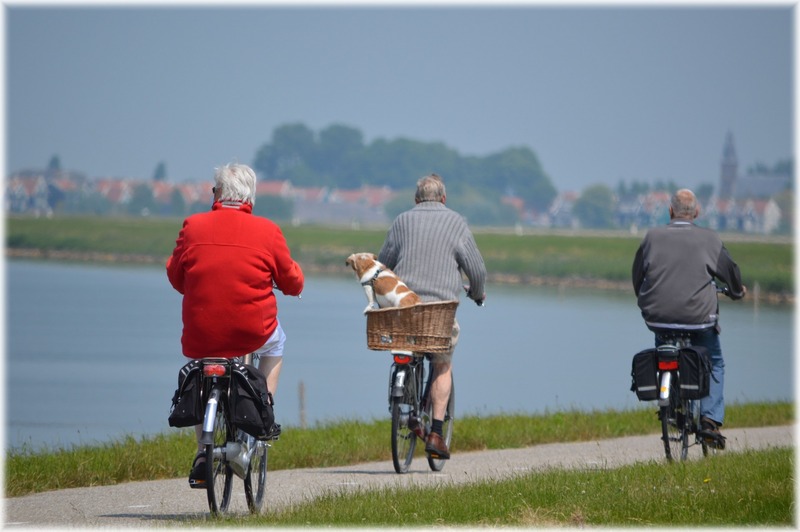 Because walking is load bearing it can help with poor bone density without putting any strain on joints, ideal for all ages and for the older members of the population particularly beneficial. There are many health and fitness opportunities on a Static Caravan Holiday to take a walk and if you walk in the evening you’ll be surprised how it will improve the quality of your sleep. Walking along the beach or in the open countryside of North Wales is pleasant and adds another dimension to your exercise, taking in the beauty of local flora and fauna as you make your way along your chosen route. If you are not accustomed to walking you should ease yourself into it over a few days and then add some uphill stretches into your route for extra benefit. Walk more briskly to help burn off calories and increase cardiovascular fitness and once a good level of walking has been reached, try power walking at as fast a pace as you can manage during the middle section of your walk. Enjoy striding out, getting fresh air and appreciating your surroundings as you go along. Whilst holidays can often be a time for indulgence, Static Caravan Holidays are different in the sense that you can burn off those extra calories every day by walking them off. You will certainly notice the difference in your general health and fitness, and when you go home, you could consider joining a rambling club to enjoy this exercise with others. There are plenty around and they meet for regular walks in stunning surroundings. They organise walks for all levels of fitness and you may find you make some new friends to share your new exercise regime. Details of your local clubs can be found on the internet or at local libraries. Alternatively, you could buy a Static Caravan in North Wales, using it for your own holidays and long weekends but renting it out to walkers when you are not using it. Hikers and walkers frequently come to North Wales for organised walks or in friendly groups to plot their own course. Some of them even tackle Snowdonia and others like studying the birds and wildlife. The rental income achieved from lettings, could easily pay for your own holidays and help with the maintenance fees for your holiday home. If you are interested in buying a Static Caravan in North Wales do contact us for a chat. Whitehouse Leisure Park has a selection of used and new Static Caravans for sale, to suit most budgets, with finance packages available subject to status.